Well-researched and true to the original myths, each volume in the <i>Goddess Girls</i> series addresses contemporary issues, like friendships and relationships, from a classically accurate--and entertaining--perspective. 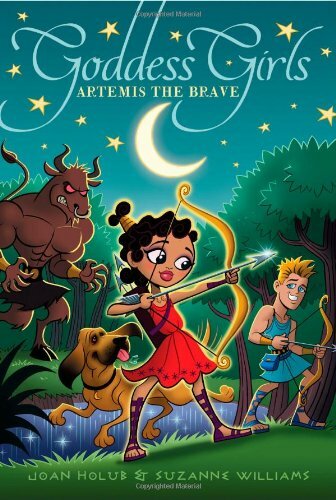 <p></p>In <i>Artemis the Brave</i>, Artemis, goddess of the hunt, is always perceived as the bravest goddessgirl at Mount Olympus Academy. What her classmates and best friends don't realize is that sometimes she isn't as courageous as she looks. And when Orion--a foreign exchange student from Earth--enters the picture, she is even more nervous than usual! Can Artemis prove to her friends, and herself, that she can live up to her goddess name? Artemis the Brave Artemis, goddess of the hunt, is always perceived as the bravest goddess girl at Mount Olympus Academy. What her classmates and best friends don't realize is that sometimes she's not as courageous as she looks.